Macomb Area Crime Stoppers awarded Sheriff Rick VanBrooker and thanked him for his years of service and support of the program. 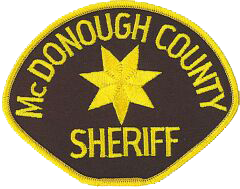 VanBrooker was Sheriff of McDonough County from 2006 until he retired this year. During his three terms he was essential in the success and growth of the local chapter, by assisting in many aspects. Pictured is VanBrooker and members of the Macomb Area Crime Stoppers Board.